Former Manchester United manager Jose Mourinho is reportedly eager for Real Madrid to seal the transfer of Eder Militao if he is to become their next manager. The Portuguese was sacked by the Red Devils this week and has been strongly linked with a second stint in charge of Los Blancos since then. Many of those rumours over Mourinho’s future come from Don Balon, with the latest being that an agreement is virtually total for the 55-year-old to take charge of the team, and that he wants Porto defender Militao as one of his first signings. 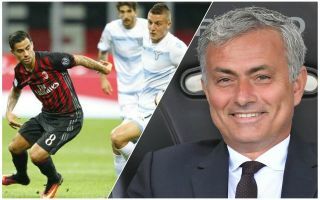 This could instantly spoil the transfer plans of his old club United, who have been linked with the £40million-rated youngster as well recently by the Daily Mirror. MUFC urgently need a new signing in defence, as Mourinho will be well aware of, and if an affordable and realistic target like Militao ends up making the move elsewhere that would be a huge blow. United fans will hope they can see off any competition from Real in the near future.